For-profit hospital companies must weather looming threats of market disruption, regulatory changes and technological advancements that may change where patients get care in 2018, analysts say. In its 2018 outlook, Fitch Ratings said for-profit companies, including hospitals, are prime targets for competition from companies like Amazon, which could exploit inefficiencies that keep hospital care expensive. "One of the points we really want to articulate is that we're seeing these little inroads for disruption across the industry," said Britton Costa, Fitch's senior director for healthcare & REITs. That disruption wouldn't look the same as it did in retail, which is much more fragmented than healthcare. If Amazon were to enter the pharmaceutical distribution market, as has been rumored, it would compete with large pharmaceutical distributors. Overall, Costa said a would-be disruptor would need to have the money to build up infrastructure and meet regulatory requirements, but that the barriers are not insurmountable. 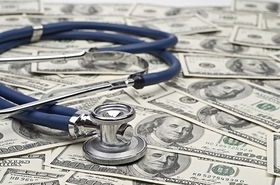 Rich Bajner, managing director for Navigant, said he thinks hospitals of all stripes should focus more attention on a combination of more near-term challenges, including a payer mix that continues to shift away from commercial and toward government payers. Hospitals also need to strengthen their revenue cycles as more patients buy high deductible health plans. Hospitals are seeing a "rapid deterioration" in surgical volumes as well, as more procedures are performed in ambulatory surgery centers, Bajner said. That's due to both regulatory changes like Medicare covering more outpatient services and new technologies that allow for less invasive procedures. In the end, hospitals are left with lower margin patients compared with surgical patients. "That's hurting our clients pretty significantly," Bajner said. The industry also must contend with the continued focus on affordability. Big data and analytics permit price transparency and let consumers shop around, Fitch noted in its report. Fitch says the companies best positioned to defend profitability in 2018 will be those that show innovative depth or commoditized breadth, such as a pharmaceutical firm focused on a handful of therapies or a healthcare provider that can successfully establish a continuum of care within a certain market. Several national companies have invested in scale and found it doesn't pay off, Bajner said. That usually happens because they're not able to develop relevance in each of their local markets. "As a national player, you need to be able to build a business model that respects the 'healthcare is local' dynamic while being able to turn scale into a competitive advantage by having a more efficient, effective corporate services vehicle to serve your local market," he said. There's also the question of whether Congress will approve a tax reform bill that would reduce Medicare spending levels in the coming years. But Rick Gundling, senior vice president for the Healthcare Financial Management Association, said hospitals have adapted to uncertainty. "I think this uncertain environment is really the environment," he said. That sounds like a lot of bad news, but overall, Fitch predicts for-profit healthcare will remain stable in 2018, with aggregate revenue growth of 4% and aggregate cash flow of $135.3 billion. Despite the numerous cautions, Costa said he sees solid, long-term demand on the horizon. "Ultimately there is still a core role for the hospital in terms of a continuum of care," he said.